It’s not a particularly pleasant topic. In fact, you may avoid talking or even thinking about your own death. But you know what they say — the only certainties in life are death and taxes. And you prepare your taxes (or pay someone else to do them). Have you prepared for your death? You can overcome the uncomfortable feeling of planning for after your death by remembering how important it is for your loved ones. Financial disorganization in death can cause stress, frustration and even thousands of dollars in unnecessary costs to heirs. Without instructions and planning your spouse, children, relatives and friends may end up paying probate and estate taxes, late fees when bills go unpaid and legal fees when they need help sorting it all out. You may be holding off on writing a will — maybe you’re waiting until you get married or until you have kids. But the truth is almost everyone needs a will. 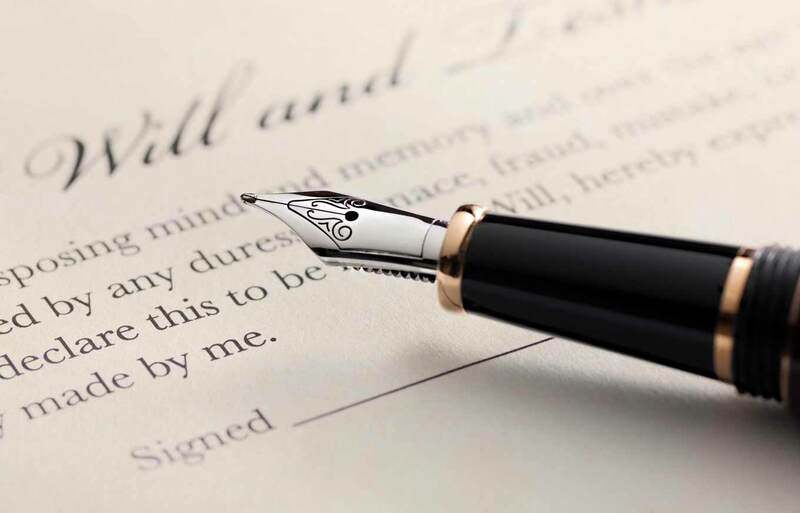 This legal document spells out your wishes for who receives your assets, who will care for your children (or pets), and it should ensure that your wishes are respected. You can assign power of attorney to trusted people in your life. You can split the responsibilities — giving someone control over finances while choosing someone else to look after your kids. While you are writing a will, consider writing a living will as well. This is also known as a healthcare directive. It spells out your wishes for medical care and lifesaving measures if you are unable to communicate them yourself. When you start crafting these documents, you may want to get help from a financial adviser or lawyer. He or she can give you personalized information for your current situation. If you are married, you may want to consider listing your spouse’s name on assets. You should also consider putting your spouse’s name on bank accounts, stocks and bonds and making sure the beneficiaries on all retirement accounts and insurance policies are the people you intended. In this digital age, there’s more work to be done. Make sure a trusted person in your life knows where you keep a list of all online account usernames and passwords. Include email accounts, social networks, personal websites, utilities, cellphones and shopping sites. I recommend updating this list at least twice a year. When you store all of this information in one place, you need to make sure it is extremely secure — from hackers as well as the elements. To make the process of your death simpler and less stressful for your family and friends, you can write down your wishes for how to handle your remains, and prepay for your funeral or memorial service (or let survivors know if you don’t want one). Costs vary, but can add up to a large sum. Check the price of the memorial you want and try to set aside enough funds to cover it, or make sure your life insurance policy will cover it. When it comes to life insurance, make sure you have the right amount of coverage. A financial adviser can help you figure out an affordable and appropriate option for you. It’s not enough just to think about your wishes. You need to make them official. Create legal documents. Make sure they are properly executed and notarized. Organize them and store them somewhere safe (like in your attorney’s office, in a safe deposit box at a bank or in a fireproof safe in your home). Then make sure someone knows where to find these documents. By financially preparing for your death now, you can protect the people closest to you from potential problems later.